Crochet expert Freddie Patmore teaches you how to do the double crochet (dc) stitch and also how to use it to increase and decrease in our how-to video, below. Double crochet is used a great deal in patterns that require a curve such as toys, teddy bears and bowls. If you’re embarking on a pretty crochet pattern that asks you to double crochet, then it’s a simple stitch to learn. 1. Insert the hook under the top two strands of the second chain from the hook. (You will need to miss chains depending on what stitch is next in your pattern. The instructions will specify the number.) Yarn round hook. 2. Pull the yarn through to make two loops on the hook. Yarn round hook again. 3. Pull the yarn through both loops on the hook to complete your double crochet stitch. Now repeat into each subsequent chain if required. When working a row of dcs, you must work one chain at the begnning of the row in order to achieve the height of the stitch that follows. This chain can be counted as first stitch, if it is not, (your pattern will tell you) then to achieve a straight edge, you must crochet into the very first stitch before continuing along the rest of the row. One way to decrease in double crochet, is to work a double crochet two together or ‘dc2tog’. A dc2tog is worked over two stitches. To work a dc2tog, Insert hook in next stitch, yarn over hook and bring loop through thus creating two loops on the hook. Now insert your hook in the next stitch, yarn over hook and bring loop through. You should now have three loops on your hook. Yarn over hook once more and bring yarn through all 3 loops on hook, making 1 stitch. You have now decreased one stitch. In order to increase in double crochet, simply work two dcs into one stitch. Work a dc into your next stitch as normal and then work another stitch into the same stitch on the row below. The term double crochet (dc) can mean different things around the world so do be careful to check before you start your project. We’re explaining it’s UK meaning, but in American patterns it will mean something else (UK treble = US double, UK double = US single), which can be a bit confusing. In our patterns our crochet terms are always the UK abbreviations. 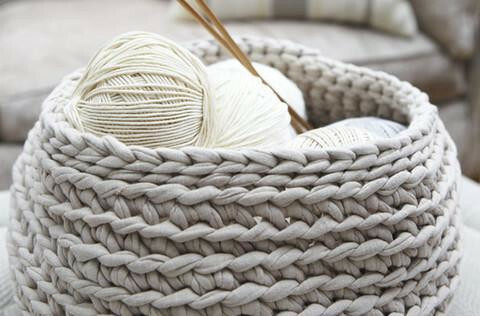 Learn How To Crochet with our complete guide.